The Internet is a great source of useful information. But not all of the claims you’ll find online are trustworthy. This is certainly true when it comes to the alleged health risks of tooth colored fillings. Dentists have been using this particular form of therapy for decades, with splendid results. Advanced infections that find their way into the bones that support the facial structure. If this happens, then the patient may eventually require bone grafts to correct the damage. Ongoing,sometimes debilitating pain that can make emergency care necessary. Discomfort and tooth loss. An untreated cavity is a sure sign that harmful bacteria has taken hold in your child’s mouth. These dangerous micro-organisms can eventually find their way into the base of the tooth itself, causing severe pain and making an extraction necessary. Widespread damage to other teeth. When one tooth is lost, those around it undergo severe stress,both in a sideways and back and forth direction. In time, this can cause catastrophic tooth failure throughout the patient’s mouth. Many health experts fear that a dental infection can spread into the patient’s bloodstream. If this happens, it could cause an inflammatory reaction that puts the person at risk for serious conditions such as heart disease. Give your child a sympathetic ear. Never dismiss or belittle their worries and concerns. They look to you for protection and support. Take your child to the dentist’s office ahead of time to meet the doctor and staff. This will help to prevent the unease that comes from entering a strange environment for the first time. Ask the dentist to explain the treatment process to your child. 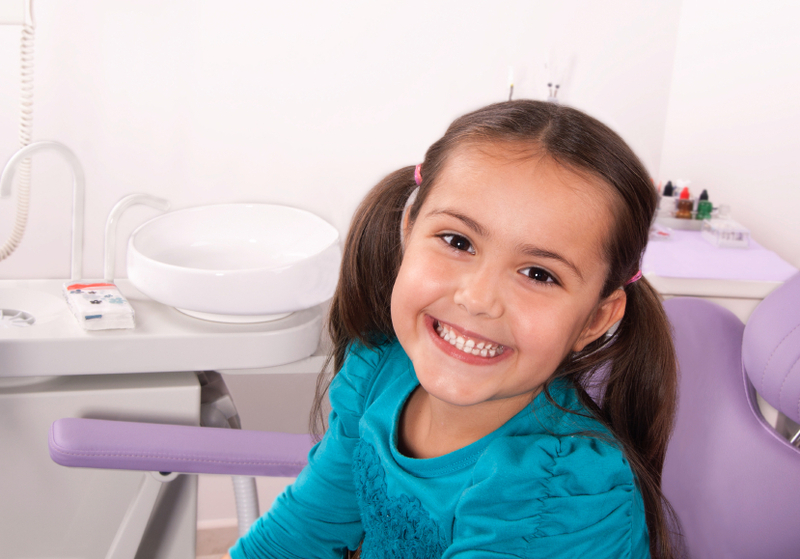 Most pediatric dentists are highly skilled in explaining dentistry to their young patients. After the visit is over, let your child enjoy a favorite sugar-free treat or some other reward for his or her good behavior during the appointment. A little positive reinforcement goes a long way. Dental fillings are one of the safest, and most effective, forms of treatment on earth. Taking a little time to visit the dentist now can prevent serious consequences later on.There’s no better way to invest in your child’s future. Dr. Shubha Soni-Gaur is a board-certified pediatric dentist with seven years of experience in caring for young patients. She earned her DDS degree from Columbia University’s College of Dental Medicine and completed her advanced residency in pediatric dentistry at New York Presbyterian Hospital/Columbia University. You can reach her office online or by calling (631) 673-8040. The post Here Are the Facts about Tooth Colored Fillings from a Pediatric Dentist in Dix Hills appeared first on Dix Hills Family Dentistry Blog.